Fact: You can’t hang on to your power base if the drinking water has dried up or become contaminated. It comes as no surprise that we find early humans dwelt close to abundant water supplies, recognising humans can endure many months without food, but not without water. The two major reasons for why megafauna like the mammoth went extinct are thought to be climate change and human predation. As the climate warmed, humans expanded into new territories that were formerly blocked by ice or too harsh to sustain life on an ongoing basis……..Those mammoth that outlived all other mammoths survived on land which became cut off by rising seas, forming islands, making them dependent on fresh water resources on an ever shrinking landmass. These islands were: Wrangel Island, a Russian island in the Arctic Ocean, and Saint Paul Island, off the Alaskan coast. The latter is the last-known location where mammoths survived in North America (3600 BC), while the Wrangel population lived until roughly 2000 BC. They died as freshwater dried up, sea levels shrank the island area. Saint Paul island lacks any spring or source for fresh water, which means there was no way to restore its supply. As the climate dried, the amount of water available to the mammoths would have dwindled, while rising sea levels allowed salt water to penetrate the soil from below. Salt water penetrating freshwater is like poison. They would drop in their tracks after drinking from water they had previous found safe. For at least a decade there has been a water crisis in Mexico City. Mexico City has expanded over a huge area, where 5 lakes existed, but now water is hard to find as a crumbling sewage and their water supply system is exacerbated by floods and effects on the ground below, which is triggering instability and seismic reactions. Once there was plenty of water. This Lake had been revered and was integral to the Mesoamerican remarkable building of early civilisations. One of those cities was Tenochtitlán. an amazing city, built on an island in the Lake, existing between A.D. 1325 and 1521, largely destroyed by the Spanish conquistador Hernán Cortés after a siege in 1521, and modern-day Mexico City now lies over much of its remains. Lake Texcoco (Spanish: Lago de Texcoco) was a natural lake within the “Anahuac” or Valley of Mexico. 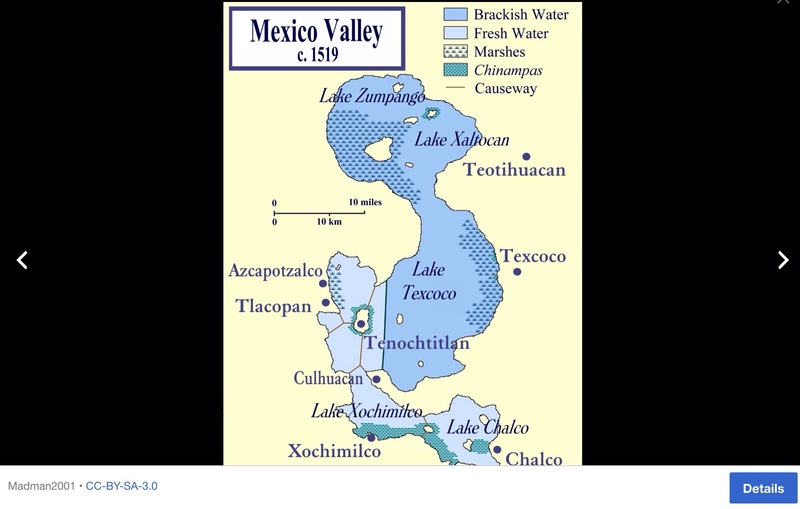 Between the Pleistocene epoch and the last glacial period, the lake occupied the entire Mexico Valley. It is called a valley but really it is more like a great bowl within the mountain ranges. Lake Texcoco reached its maximum extent 11,000 years ago with a size of about 2,189 square miles (5,670 km2) and over 500 feet (150 m) deep. When the lake’s water level fell it created several paleo-lakes that would connect with each other from time to time. Dr. Gonzalez …reconstructed the environment of Lake Texcoco around the time of Tepexpan Man by analyzing sediments and fossils from the area. Dr. Gonzalez and her team analyzed sand, clay, and volcanic ash, as well as fossils of diatoms (microscopic algae) and ostracods (a form of small crustacean). When Tepexpan Man was alive, the lake was very deep, full of fish, and surrounded by trees. The environment surrounding Lake Texcoco experienced major changes over the past 20,000 years including several volcanic eruptions, changing water levels, and numerous types of vegetation. These environmental changes clearly affected populations living in the area. Today, Lake Texcoco is almost dried up. It sits on the northeast outskirts of Mexico City. The Lake was primarily fed by snowmelt and rain runoff when the Mexico Valley had a temperate climate. Between 11,000 and 6,000 years ago, the climate naturally warmed (classified as the Holocene Epoch when the Earth began warming after the last Ice Age) and snowfall in central Mexico became less prevalent. This caused the water level of the lake to drop over the next several millennia. 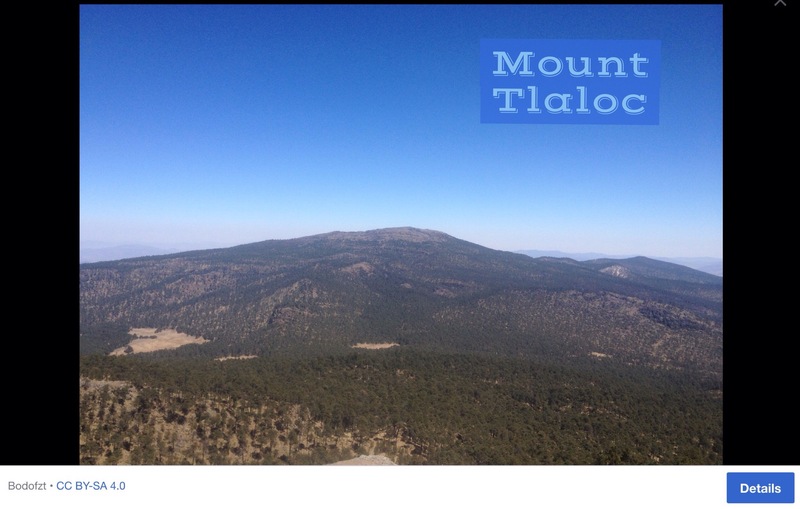 Remnants of the ancient shoreline that Lake Texcoco had from the last glacial period can be seen on some slopes of Mount Tlaloc as well as mountains west of Mexico City. Agriculture around the lake began about 7,000 years ago, with humans following the patterns of periodic inundations of the lake. 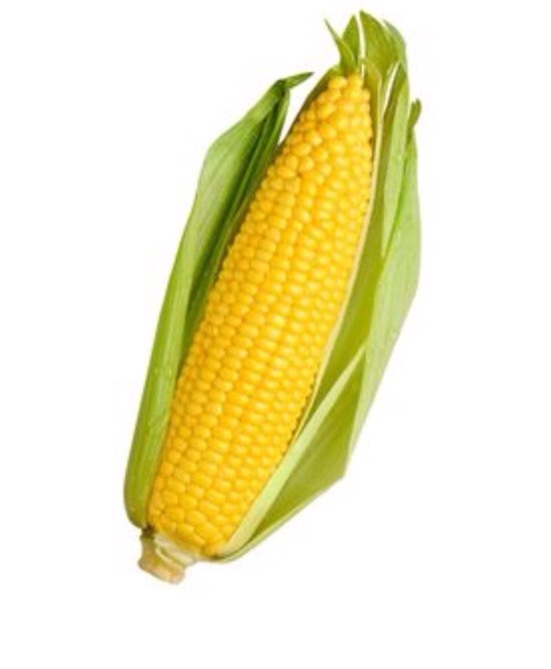 Farming was developed, and corn (maize) was, and still is, a staple food product of Mexicans. The complexity of the genetic breeding of grasses to create corn was not known anywhere else on the planet. The brilliance of the human endeavour to create this vital food stuff has still not been explained. The Balsas River valley was possibly one of the earliest maize growing sites in Mexico, dating from around 9200 years ago. Though it is known that successive communities of Yop, Coixica, Matlatzinca (Chontal), Tlahuica and Xochimilca with Nahua succeeding in the end have lived in the region, archeological excavations in the area are yet to establish the hierarchical succession of the various communities. Several villages appeared on the northeast side of the Lake Texcoco between 1700 and 1250 BC. There are a series of wonderful educational maps which help us understand the Holocene population development in this area of Mexico. By 1250 BC the identifying signs of the Tlatilco culture, including more complex settlements and a stratified social structure, are seen around the lake. 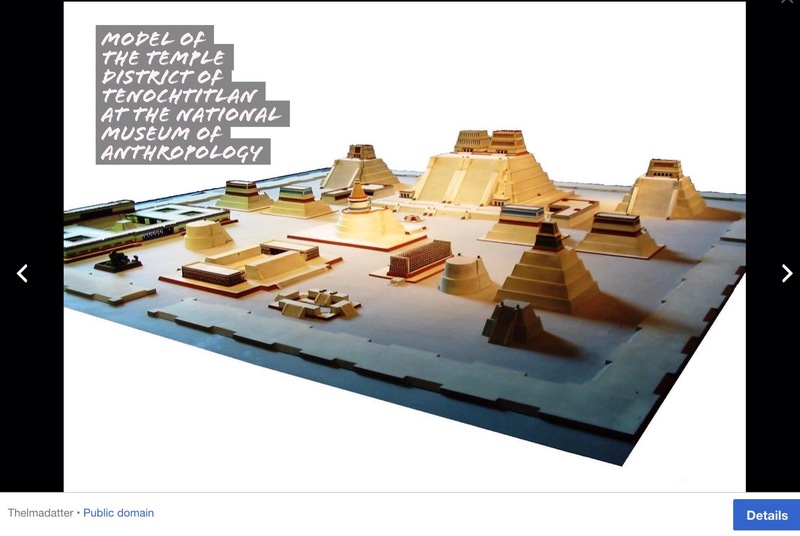 By roughly 800 BC Cuicuilco had eclipsed the Tlatilco cultural centers and was the major power in the Valley of Mexico during the next 200 years when its famous conical pyramid was built. Cuicuilco may be the oldest city in the Valley of Mexico and was roughly contemporary with, and possibly interacting with, the Olmec of the Gulf Coast of lowland Veracruz and Tabasco(also known as the Olmec heartland). Cuicuilco means: “Place where songs and dances are made”. 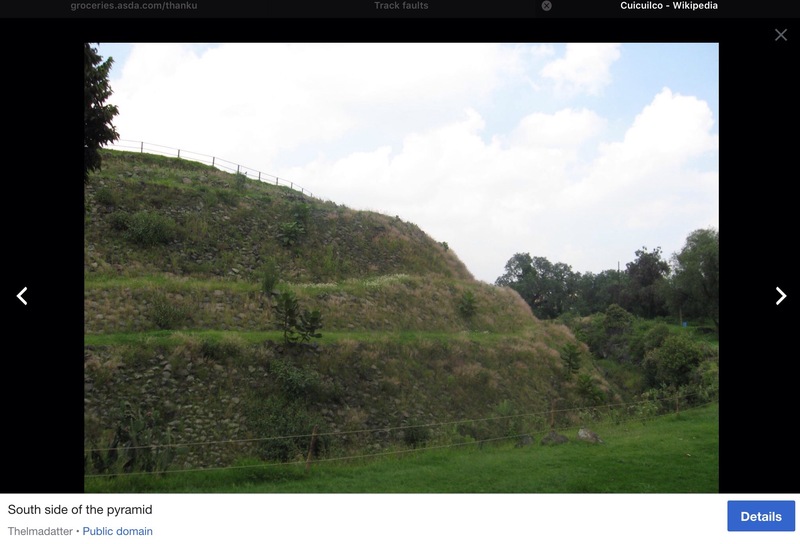 The Xitle volcano destroyed Cuicuilco around AD 30. Xitle lies in the Ajusco mountain range. 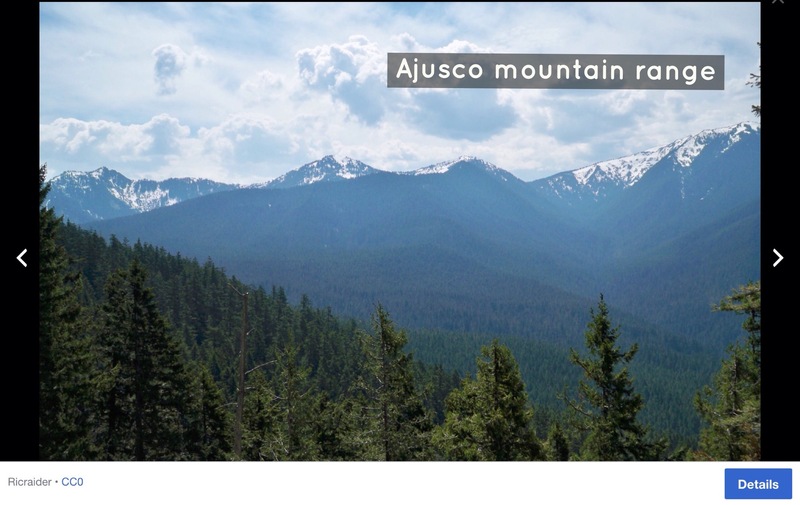 Ajusco is a Náhuatl word variously translated as ‘source of waters’ or ‘watered grove’. Some think the power base of Cuicuilco was a threat to the developing power base of Teotihuacan as their farming produce was vital for the growing population of Teotihuacan. Once it was no more, the land and surviving people were siezed by the Teotihuacanoes. This expanded their power base, being less dependent on these previous trading partners and providing easy access to the established trading routes developed by the people of Cuicuilco. The city of Teotihuacan may have lasted until sometime between the 7th and 8th centuries AD, but its major monuments were sacked and systematically burned around AD 550 during a period of unrest when the fresh water supply began to fail and the once powerful leading priests could no longer ‘give’ the community this vital requirement. At its zenith, perhaps in the first half of the 1st millennium AD, Teotihuacan was the largest city in the pre-Columbian Americas, with a population estimated at 125,000 or more, making it at least the sixth largest city in the world during its epoch. They left no written history since their system did not elicit a need to develop a written language. The ethnicity of the inhabitants of Teotihuacan is the subject of debate. Possible candidates are the Nahua, Otomi or Totonac ethnic groups. Scholars have suggested that Teotihuacan was a multi-ethnic state. The name Teōtīhuacān was given by the Nahuatl-speaking Aztecs centuries after the fall of the city around AD 550. The Nahuatl scholar Thelma D. Sullivan interprets the name as “place of those who have the road of the gods.” They understood how to develop a power base using expertise over water use and worshipping their god of water, placing those best able to demonstrate water control at the top of the community respect table. They chose to build their magnificent city in an area of easily obtainable obsidian, but the land was mostly infertile. They traded obsidian in exchange for food which was being grown by other communities around them. Their trading abilities were built over time until others recognised them as superior traders. They developed a strong and powerful army to protect their power base, utilising the ready source of obsidian to create efficient weaponry of sharp spears and arrows. Their armies conquered other territories and their population grew, creating ever greater demands on water supplies within a landscape which began to suffer regular drought. It was only when their water supply dried up that their power base soon declined and the civilisation disintegrated. Without clean drinking water many power bases have crumbled, even when laden with trading goods, it is just stuff which cannot be exchanged for a continual supply of fresh water. This entry was posted in Uncategorized and tagged drought, freshwater, Mammoths, Mesoamerican civilisations, Mexico City, obsidian, sea water contamination of aquifers, water shortages. Bookmark the permalink.